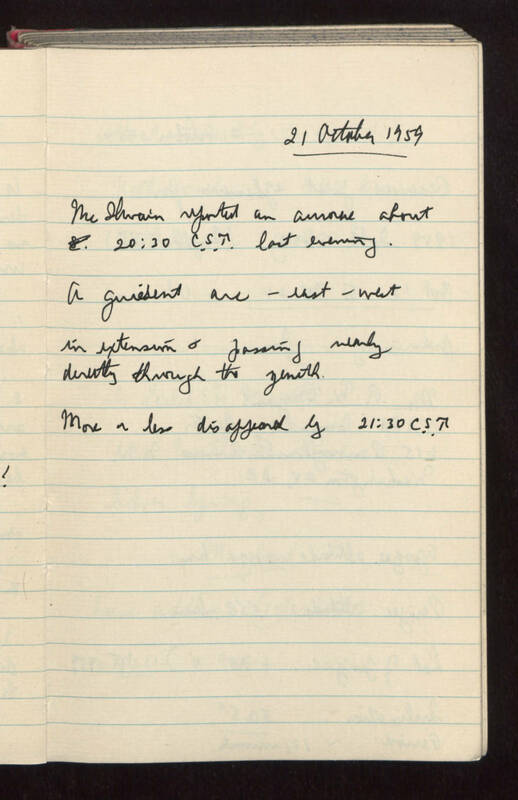 21 October 1959 McIlwain reported an aurorae about 20:30 C.S.T. last evening. A quiescent arc -- east-west in extension and passing nearly directly through the zenith. More or less disappeared by 21:30 C.S.T.